Eye: Deep amber, flashes of gold. Nose: Floral yet sweet, soft fruity perfume of peach and melon. Hints of marzipan and nuts. Palate: Orange blossom, woody spices, evolving into peaches, almonds, and cinnamon. The finish is long and lingering, with delicate tones of grapes, sweet oaky spice, and fleshy soft fruits. 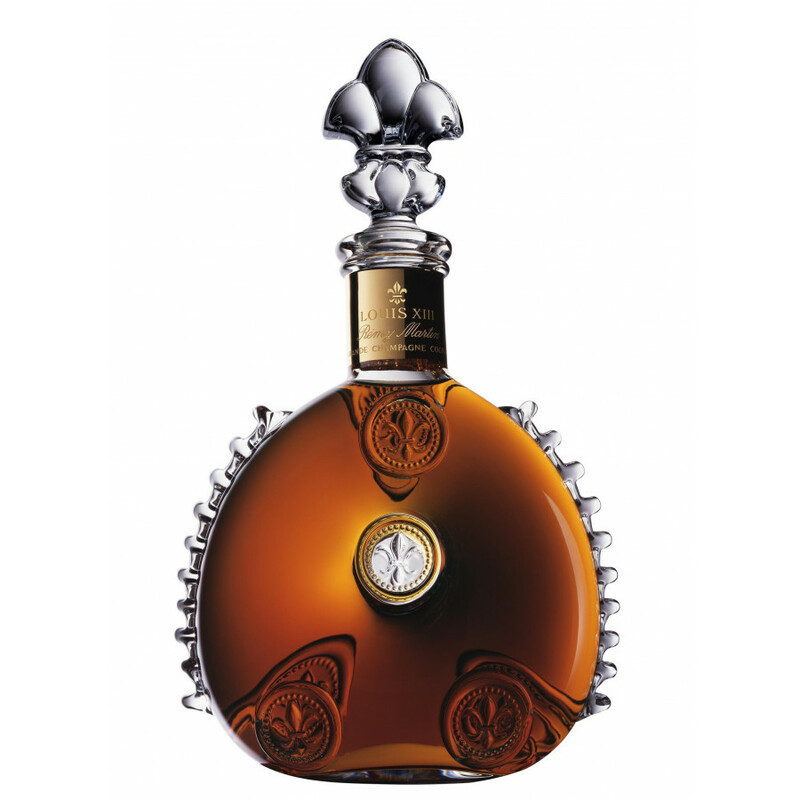 The Remy Martin Louis XIII is truly a special bottle of Cognac. Revered around the world, it's the showcase of all that's great about this illustrious Cognac house. Created from over 1,200 different eaux-de-vie from the Grande Champagne terroir, some of which are over a century old. As a Hors d’Age cognac, it is usually somewhere between 40 and 100 years old. Matured within oak Limousin casks, the unequaled blend of grapes are sourced from the first cru of the region. The beautiful exchange between wood and eaux-de-vie is down to the age of the barrel. Depending on the age of the oak and the speed of the oxidation process, the Louis XIII is formed in a very particular way. Everything about this Cognac is a work of art. The decanter has been created by Baccarat Crystal, and is definitely something to be displayed as the pride of your collection. The design of the flask is based upon that which was found on the site of the battle of Jarnac, which took place in 1569. A combination of its age-old Baccarat glass decanter dating back to the 16th century, alongside its earthly blending process which began in 1874, makes for a complex Cognac with a pervading reputation. It is sure to endure well into the future. If you want to follow in some illustrious footsteps of Louis XIII fans, Winston Churchill celebrated his election win with it in 1951, and Queen Elizabeth II was served it in her visit to Versailles Palace (near Paris, France) on her visit in 1957. Heritage and expertise passed down from generation to generation is what makes the Louis XIII such a coveted blend. Each cellarmaker reserves their finest eaux-de-vie, creating a refined Cognac that is unique; glimmering with each turn of a new era. Rémy Martin are famed for reinventing the Louis XIII. There have been a series of highly anticipated limited edition bottles which all tell their own tale. These include Le Salmanazar which is the world’s largest nine-litre bottle decanter, and the Time Collection which are a selection of cognacs that have all witnessed important events in Remy Martin’s history. There is also the Louis XIII Legacy, which was announced in 2017 in homage to its various cellarmakers. L’Odyssée d’un Roi is the product of a luxurious collaboration with top French fashion label Hermès, and the Rare Cask 42,6has a slightly higher alcohol content and a fantastic intensity of tasting notes. There is also the Louis XIII Black Pearl Anniversary Edition, which is a magnum 1.5 litre decanter. In keeping with the philosophy that the Louis XIII is a mastery of time and legacy, Rémy Martin collaborated with Pharrell Williams to create a song titled “100 Years”, touching on the effect of human activity and climate change on the earth. 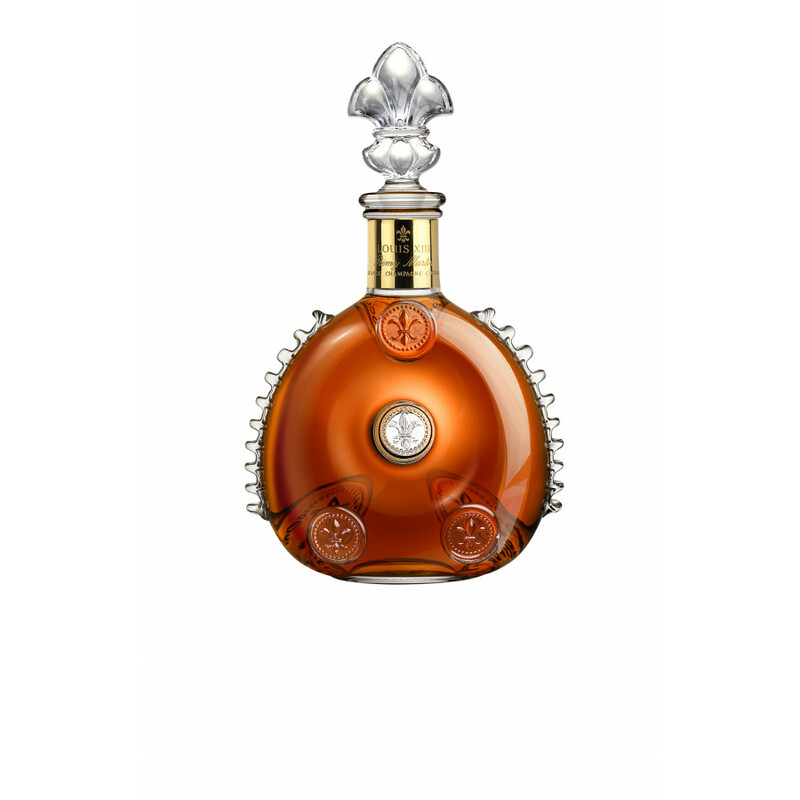 As the Louis XIII takes a century to mature, it which will be locked in the vaults of Rémy Martin and played in 2117. As one of the world’s largest producers of Cognac, Rémy Martin have spent over three centuries perfecting their craftsmanship to produce Fine Champagne blends. Established in 1724, the combination of eaux-de-vies from the Grande Champagne and Petite Champagne crus makes for one of the finest quality cognacs due to the nature of the chalky soil. The Rémy Martin brand has become particularly notorious among musicians in the rap music genre, with many artists including its blends in their songs such as Fetty Wap and Robin Thicke. The current cellarmaster is Baptiste Loiseau, the youngest that Rémy Martin has ever seen. Originally appointed as deputy cellarmaster in 2011, he joined the exclusive realm of Cognac and became Cellarmaster at just 34 years old. He is responsible for setting aside an eaux-de-vie to his successors in the next century for future blends of the Louis XIII. An auto-mechanic I work with shared his bottle with us co-workers this Christmas eve , he didn't share how he got his hands on it !! Looking for miniture bottle for sale. If anyone wants to sell one let me know. Thanks. I have a Louis the 13th Remy Martin grand champagne cognac for sale. Hi. I have two full, unopened miniature (about 50 mL?) bottles of Louis XIII Grande Champagne in hand-blown decanters, each in a presentation box which is in a red plaid bag. Can anyone tell me what these are worth and/or where I can sell them? I have an unopened sealed bottle in the original red satin lined box. It is Baccarat crystal 750ml. bottle . I also have the purchase receipt dated 1991 when my husband bought it. I have one unopened in original box and had the mark of "CARAFE No. AB 4135" on both the bottle and crystal cap and certificate. Could anyone tell me what year is this Louis Xiii de Remy Martin Grande Champagne Cognac made please?Thank you. I have a unopened bottle of Louis XIII "Celebrate Year 2000" in original box with fleur stopper. Decanter #BQ2349. Have pics, will email if interested. I am in the US. I have a bottle of Louis XIII de Remy Martin 2000 for sale. It has been in a wine cellar since purchase. Carafe no. 5020. All serious offers condidered. I have an unopened bottle of very rare cognac napoleon brand (quart) would sell for reasonable offer. Will send pic upon request. I am in the U.S.A. I have a client who owns a bottle of Louis XIII and needs to sell it. It is still in the Box. It is Decanter # AH3306. She has had it for a while. Any idea what it is worth and where I could go to find out when her bottle was produced? I have a Remy Martin &amp; Co. Lousi XIII Decanter 8941 in an 8 sided rouge colored box. Unopened. Does anyone know what the value or worth of this bottle is? Hello N, Smith. Please post more information on the bottle you have. Have a E. Remy Martin &amp; Co. Bacarrat Cristal decanter that says cognac 0.701. France. And the wooden presentation box it came in. Any idea of the worth? Not sure what I have but its wrapped in leather (looks old) cognac bottle with 3 matching shot glasses with hooks on them that you can hang them on the bottle. There was 4 shot glasses but I broke one. The bottle is empty. I am looking for a display case for a bottle of Louis.Anyone know about the next level up in cognac by Courvoisier, I heard it's about 5000 per bottle and the glass is by Lalique.Have you guys seen it for sale or even tasted it?Thanks. I have the Baccarat crystal decanter empty in the red box. Know what it is worth?It is in the red presentation square box with angled edges. Hello I have a bottle of Remy Martin Cognac, Grande Champagne Very Old, Age Unkown. White Box Bottle have a red steal at the top box is on really good conditions. I ask $5000 - feel free to contact me via posting an answer. I'm in Miami. I've got a coworker who has a very nice bottle that he bought in 1975 or 1976 however through some very rookie research, I think it is a bottle from 1965 to 1970. Living in Tulsa Oklahoma and he wants to sell it but is not Internet savy enough so I'm trying to help. It is the 4/5 quart of Loius XIII de Remy Martin. Box and bottle are fully intact and have been properly stored. Tax stamp has 6522653371 and 4-I-89 thats an I not a one and it is much older than 89 so not the year. Please emai if interested and make a reasonable offer for me to present to him. Thank you! I have a bottle of Remy Martin Cognac Grande Champagne "LOUIS XIII" VERY OLD it has a number on the label. What do u think it would be worth? I was told about $4000 AUS??? Hey there. Got a bottle of Louis XIII 70cl for sale. $1875 FREE SHIPPING FROM NYC TO WORLDWIDE. Price slightly negotiable. Respond in this post to me if interested. I have a Remy Martin Louis XIII crystal decanter with the fleur de lis stopper. I would like to sell it, but I don't have the box. I was wondering if you knew of anyone or place that might sell the box for this bottle. Thank You for your time!! I have a never-opened 4/5th of a quart bottle of Remy Martin Louis XIII Cognac. It is sealed with the original bottle stamp that shows the serial number. Tied around its neck is a card that says: "This exquisite hand-blown crystal decanter is an exact reproduction of a rare decanter used during the period of Louis XIII, now produced exclusively for E. Remy Martin Cie by the world famous Baccarat Cristallerie, of France. "I do not have the original box nor the crystal stopper. I believe that the bottle is probably about 25 years old. It was given to me about ten years ago.I would like to sell it in the NYC Metropolitan Area for $1500. Please contact me on this message board if you are interested. I have a remy the 13 bottle sealed unopened with fancy top paper work fancy case and original box. Its the 750 ml bottle wondering what its worth im located in phx az. Ed Gerrity...please email me. I am located in Westchester ny and am interested in buying your bottle. Thanks. I have and unopened bottle of Millenium Louis XIII with the pretty red presentation box with Louis XIII de Remy Martin "Celebrate Year 2000". The Carafe is No BR 3921 (the carafe also has Celebrate Year 2000 in gold lettering). I can provide pictures. Send me an email steegardin@gmail.com. I am interested in purchasing a bottle or two if anyone would like to contact me at patrick.murphy9@comcast.net. I do understand the value and appreciate the cognac. For the right offer I am willing to fly to meet and pick this cognac up. Thank you. Have a bottle of Rémy Martin Louis XIII Cognac in presentation box with all information to sell given as a present in mid 90's to my Dad whilst on business in Taiwan. Message if interested. Hello, I have a bottle (unopened) of Louis XIII Cognac and I would like to sell it. I'm in Northern California. Thanks! It's carafe # I5373 and I believe it's from the late 70's. It's still in its pretty red satin-lined box. Email me at copperypanther at gmail. Thanks! I am interested to buy a bottle of Louis XIII.Any body have one for sale, please e-mail me.Thank you. I have a unopened bottle of remy martin louis xiii for sales in its original mint red display box. if interested please email me on set999@hotmail.com for further details and pictures. thanks. I also have a bottle, never opened, still in original case and serial number. It was purchased in the 80's. If anyone is interested, please email as it maybe available to a serious buyer. Lawrence,Not sure if you found a bottle, but I am also in London and have a bottle I am looking to sell. Cheers. Hi all. 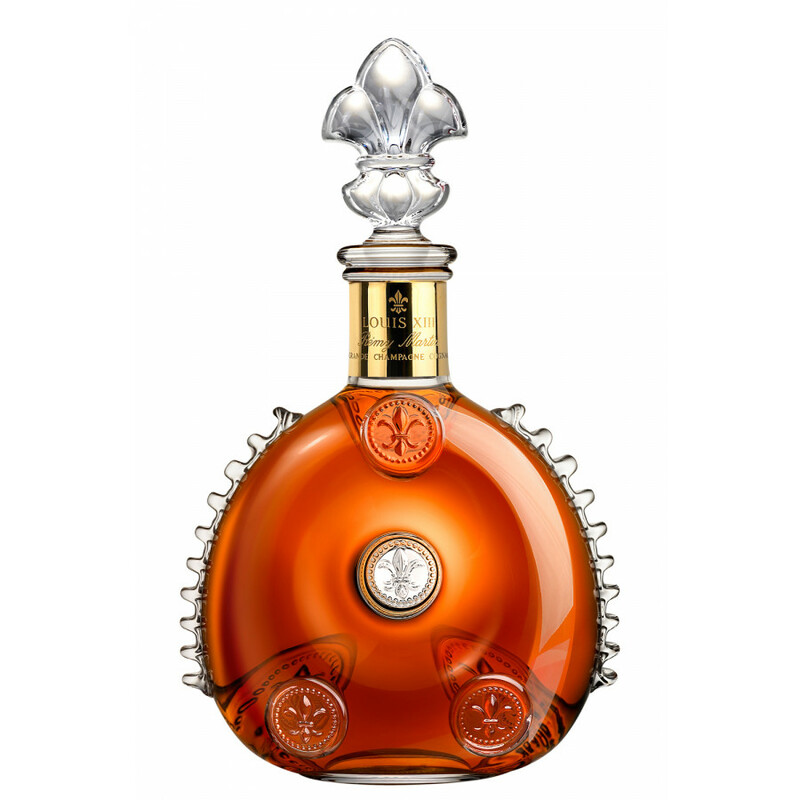 My husband and I decided awhile ago that we’d like to buy a bottle of Louis XIII to celebrate paying off our house (and as a once-in-a-lifetime experience). Well, we only have a few months left before our house is paid off…so I’m trying to find a reasonably priced bottle of Louis XIII to celebrate with. If you have a bottle (WITH the cognac in it, obviously) that you want to sell, please contact me at wilcoxz@yahoo.com. Thanks SO much!! Hello Cindy, I have a bottle of Remy Martin Louis X111 Which has been in my family for over 40 years. There is much more detail about this that I will reveal if you get in touch. I do not drink, and would very much like to sell it. I look forward to hearing from you. Thank you! Hello, I am interested in purchasing a Remy Louis X? in Baccarat Crystal for my husband for our anniversary. I know nothing about cognac, so I'm not even sure what to look for. How long as Remy Martin been bottling in Baccarat Crystal? Is there a specific year I should look for? Any help would be greatly appreciated! Thank you. I have bottle number 159 for sale. All serious offers will be considered. Hello Christian, indeed your bottle is worth quite a bit. It depends though what kind of model etc. so I would suggest you use our SUBMIT BOTTLE function which you find at the top/bottom of the page. If you send us (very nice) pictures and if you follow the steps precisely, we can help you to estimate the value of your Remy Martin bottle. I have a bottle of Louis X111 grande champagne tres vieille age inconnu. Cannot find an auction house. Please if someone can help with this I would appreciate it. They web says its worth a lot. I purchased it in argentina from a cognac estate sale. This clearly is the King of Cognacs, over 100 years aged in oak barrels.. from generation to generation. An unbeatable nose, hmm.. strong rancio, so strong - a palate that is so rich, the finish lasts for a good 45 minutes. Amazing cognac! Best cognac i ever had... and it's worth the money! !